Since ancient times the moment in the year when light turns to dark has been celebrated in Ireland. A time when the Otherworld encroaches on the day-to-day and the veil between realities draws thin. It marks a moment in time when the rules can be broken as a cavalcade of Faeries, Púca, Banshee, Jack O’lanterns and Spirits take to the streets, transforming the night into a playground. Curated Place are proud to be working in cooperation with Fáilte Ireland, delivering a festival with captivating immersive experiences, incredible music programme, and a lasting impact across the ancient home of Halloween. Starting from 2019, we will be delivering a spectacular destination event breathing new life into the Samhain celebrations along the Boyne Valley. We will welcome families, music and art lovers to come together in the ancient landscape to experience a weekend of otherworldly experiences that reclaim the ownership of the origins of Halloween, and Ireland being its birthplace. This year’s festival will see stunning light installations and performers, playful interactives and awe-inspiring bespoke projections at an architectural scale to the sites of Ireland’s Ancient East, and a new music festival across unique venues in County Meath and County Louth. We are seeking Irish-based artists, performers and organisations with experience in carnival arts, costume design, makeup art, light installations, theatre design, projection mapping, animation, lighting design, story-telling and public engagement who are interested in taking part. Please bear in mind that the work must be suitable for outdoor exhibition and robust enough for all weather conditions and to run for the duration of the festival (not applicable to the music programme). We would also like to hear from any Irish-based musicians or live-acts interested in performing at the festival. To express your interest please fill out the form. Curated Place are seeking freelance technicians based in Ireland to join us in supporting the delivery of festivals and events. 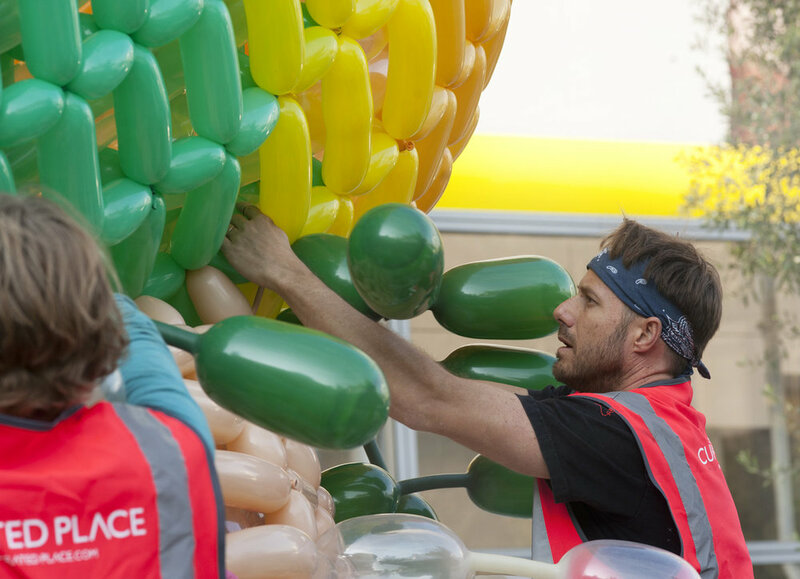 Our Freelance Technicians play an integral role within a small team that works with artists, companies and the public to create the festivals that we produce. The position requires a dynamic individual with proven ability to work across varied and busy projects efficiently, safely and accurately. You will be joining the regular team of production staff to develop, build and deliver at festival events ensuring H&S compliance and creative excellence. To find out more and apply for this opportunity please follow the link below.